William Shakespeare was baptized on 26th April 1564 at Stratford-upon-Avon. He is believed to have born on 23rd April 1564 to John and Mary Shakespeare and had seven brothers and sisters. Shakespeare married Anne Hathaway when he was 18 years old. Anne is said to have been eight years older to him. She was three months pregnant when they got married. Together they had three children. William’s father held several job until 1568 when he became high bailiff. Both parents of William Shakespeare were illiterate. Even his wife and children are believed to be illiterate. The time from 1585-1592 is known as Lost Years as there is absolutely no reference about what Shakespeare did during this period. No one knows how William Shakespeare really looked like. No portraits of him were painted when he was alive. Shakespeare’s company was renamed as The Kings Men in 1603. He wrote his first play at the age of 25 years. Henry VI, Part II was his first play that was published. First Folio, the primary source of his plays has survived till date. William Shakespeare was a popular poet, play writ and a writer. He wrote 154 sonnets, 38 plays and 2 narrative poems. The Comedy of Errors is the shortest play written by him. Shakespeare’s Sonnets was published in 1609. Most of the sonnets have been referred to a man while the others have been addressed to a young woman. There is a lot of debate about the sexual orientation of William Shakespeare. Shakespeare had coined many of the words and phrases commonly used today. During that time women were prohibited from performing in plays and so young boys and men would dress up as women and perform. This is not really a fact, but merely a theory. 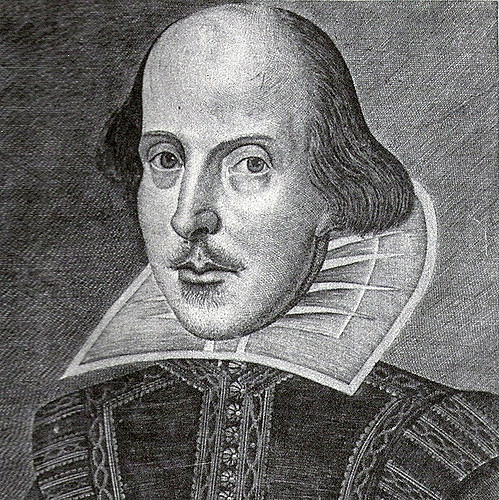 Many people believed that most of the plays were not written by Shakespeare himself as his parents were illiterate. It is also thought that he copied many of the earlier works. Shakespeare died on 23rd April 1616 and was buried in the Holy Trinity Church in Stratford-upon-Avon. The reason for his death remains unknown. A curse has been inscribed on Shakespeare’s tomb. In his will Shakespeare had left the second-best bed to his wife. Many of his plays were published posthumously by his friends. You can see some more interesting facts and as an excercise, create your own fact file.